It’s now common knowledge that part of EA’s strategy for rolling out Apex Legends involved giving influencers an early look at the game, which resulted in a fair amount of leakage ahead of its official reveal. However, it seems that the influencers’ role in Apex Legends stretched beyond simple promotional purposes and actually had an influence on how the game was developed. During a launch-day stream, popular Twitch streamer Shroud, who has a background in professional CS:GO, shared anecdotes about his involvement in Apex Legends prior to release. This included an interesting tidbit about how the weapon-feel came about. As Shroud puts it, guns in Apex Legends originally had randomised recoil, but due to his feedback, developer Respawn decided to change each weapon to have a preset recoil, which is more in line with Counter-Strike gunplay. Having wildly unpredictable recoil every time you pick up a new weapon does seem to be an odd choice, so it’s probably a good thing Respawn changed direction in this regard. Players can now get to grips with each of the futuristic weapons without having to simply spray and pray. 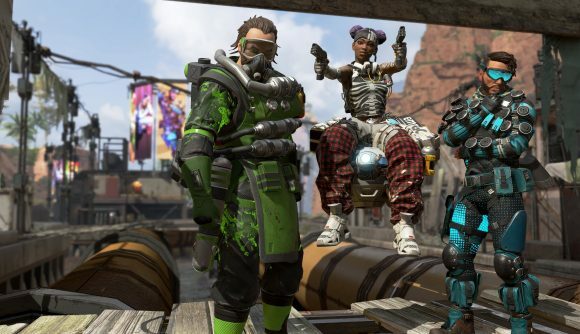 Following its surprise launch yesterday, Apex Legends has already become one of the most popular battle royale games, drawing in over 2.5 million players in the game’s first 24 hours. Although Respawn has confirmed it is not working on Titanfall 3, EA has assured fans that more Titanfall is indeed on the way in 2019. We don’t yet know what form this new entry to the fan-favourite series will take, only that it will not be a VR game. Related: Check out our favourite battle royale games. Apex Legends is available to download and play now for free, on EA’s Origin Store.